To you and I, Instagram might be just another social media app that we use as a way to pass time, share funny memes, stories about our boring daily lives, and maybe the occasional selfie. But, there’s a whole other side to this social media giant that a lot of us might not be aware of. That’s right, there are thousands of people around the world who use Instagram to earn a living, and thousands of others (like most people on this list) who use it to pad their already generous earnings. 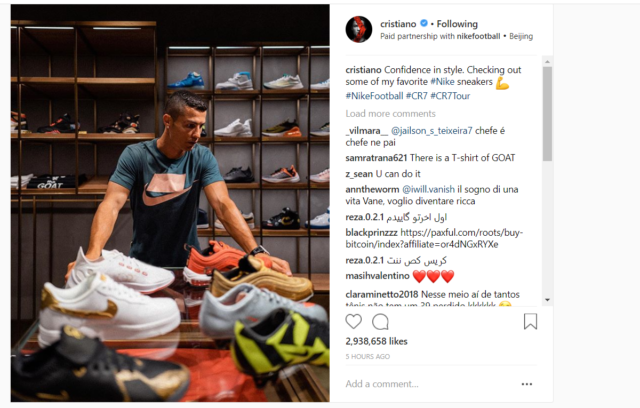 Companies look to the most popular Instagram users or “influencers” to promote their products and services. Ranging from as little as $5 for every thousand followers to even $1 per follower, popular Instagrammers can earn a lot from sponsored posts. They may also charge per sponsored post, regardless of their follower count. Naturally, celebrities are one of the first people companies look for when finding people to represent them, and naturally, their fame not only on the app but also in the “real world” ensures that they get paid handsomely. 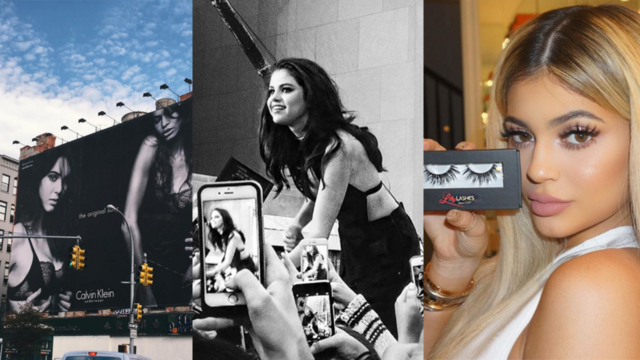 But which celebrities are the most expensive when it comes to posting on Instagram? 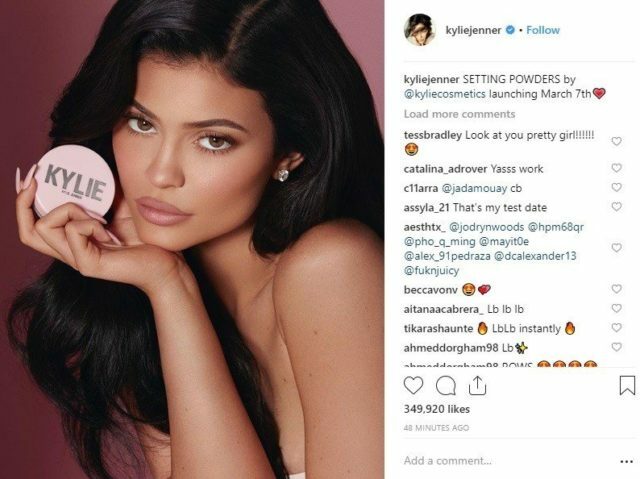 The number one spot on this list belongs to Kylie Jenner, who reportedly charges $1 million per sponsored post on her Instagram page in 2018. This is quite the achievement, given that just a year ago, it was reported that she earned only about $400,000 per post (which is also nothing to scoff at, by the way). Currently, with a total of 130 million followers on Instagram, Kylie is even more popular on the app than her sisters Kim Kardashian and Kendall Jenner. 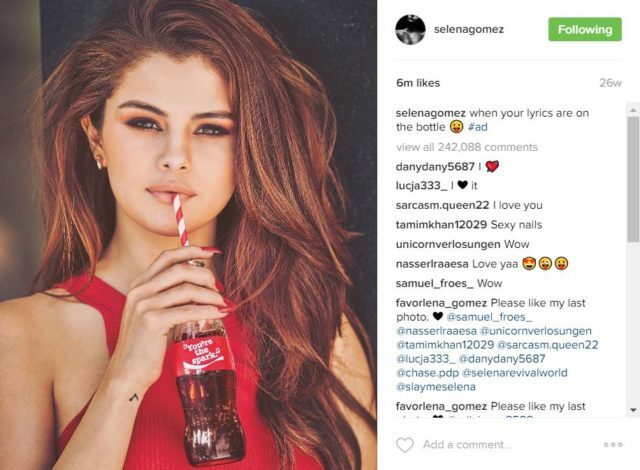 It was reported that companies paid up to $550,000 per post on Latin-American singer and actress Selena Gomez’s page in 2017. This figure went up to $800,000 in 2018. All of this shouldn’t come as a shock to anyone, given that she has over 147 million followers. Gomez was also the most followed Instagrammer up until late 2018 when she was surpassed by Christiano Ronaldo, and later by Ariana Grande. With a whopping 159 million followers, Christiano Ronaldo is currently the most followed person on Instagram. But even before he hopped up on that title in late 2018 (stealing it from Selena Gomez), he was earning as much as $750,000 per post in 2018, and $400,000 in 2017.